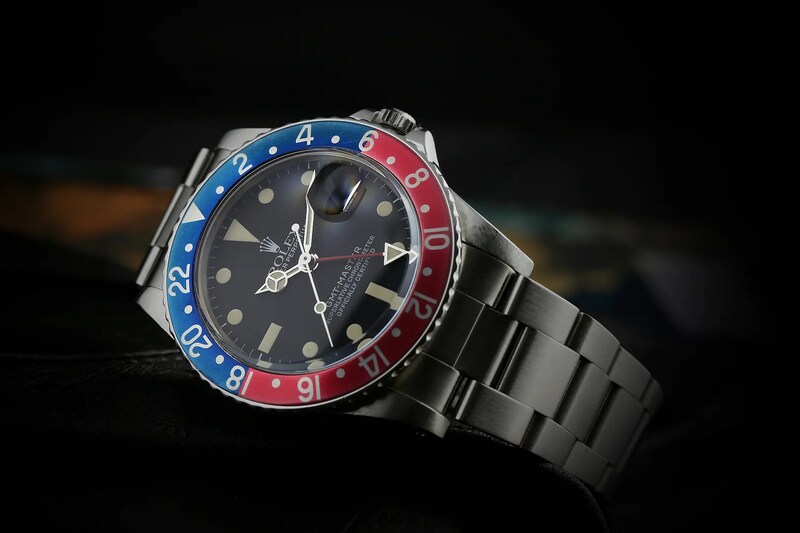 The last GMT I had was the beautiful PCG from 1963 that I let go in a very ill-advised trade. Prior to that I’d had a GMTIIC and a 16710 from the late nineties, and I have to say that it’s a watch that I like to have in my collection. 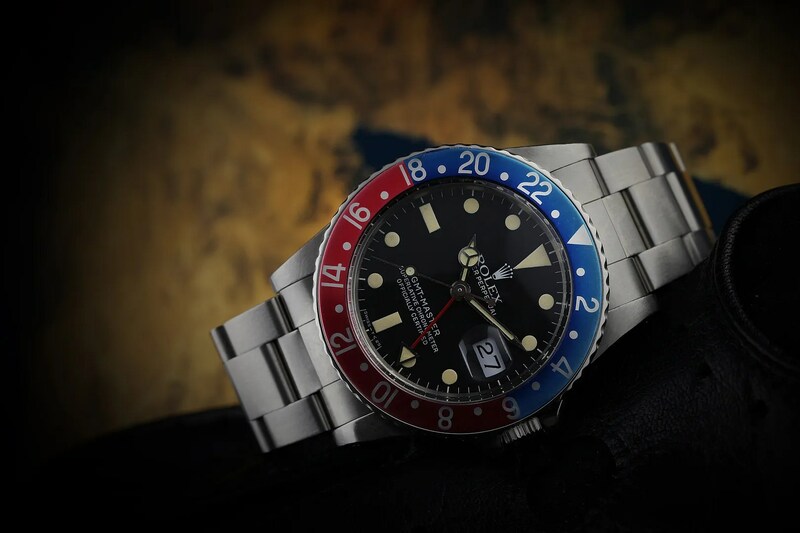 The 16750 is a model that was produced from 1981 to 1988, and it introduced the new cal. 3075 movement with a different order for the hand stack and – importantly – a properly quicksetting date; by which I mean, not a semi-quickset achieved via an hour hand that moved in one-hour increments, but quickset date changing through the crown operation. The matt dials were only fitted for a couple of years, so they’re genuinely quite rare in comparison to the gloss dial with WGS indices. The earlier production runs of the gloss dials also had what’s known as the no-date dial (i.e. the word “Date” wasn’t printed on the dial) but this applied to all the matt dials as well. I’ve gone from 1960’s vintages of both GMT and 5513 to 1980’s versions of both, not really meaning to but subconsciously gravitating towards watches that are slightly more robust and wearable. I have to admit that I’m over the moon with this one – it’s as nice a GMT from this era as I’ve ever seen and a perfect partner for my 5513 of similar age.